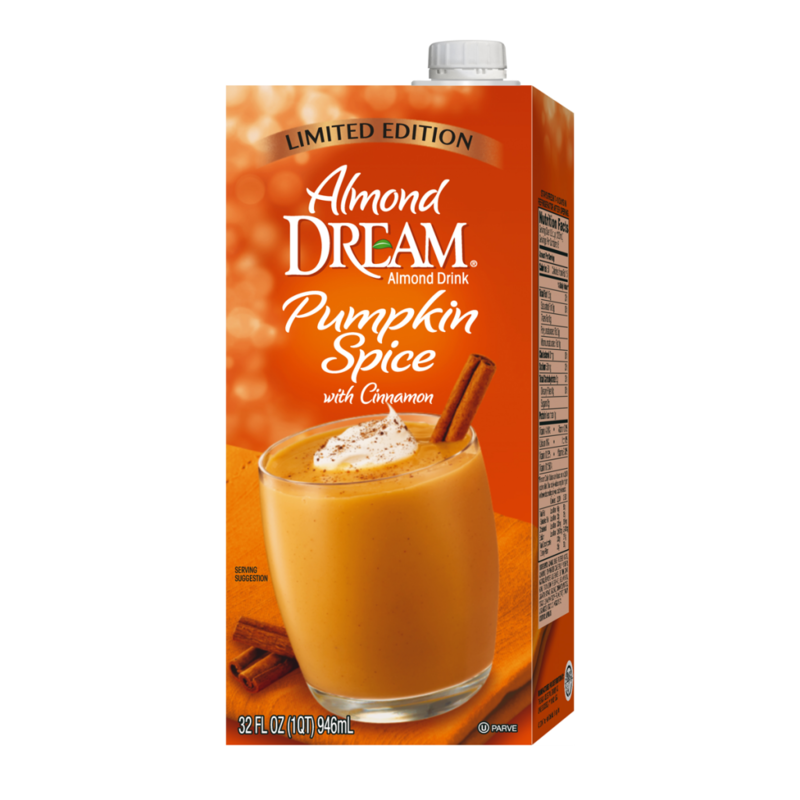 With the flavors of sweet pumpkin and delicious cinnamon, you’ll enjoy our limited edition Almond DREAM™ Pumpkin Spice Almond Drink any time of day, any occasion. It’s wholesome, indulgent and a better choice with 40% less sugar than the leading brand. * Whether using it to liven up your morning coffee, spicing up your favorite recipe or just savoring a cup during downtime, it’s sure to be your favorite addition to the holiday season. *Contains 8g sugar per ½ cup serving. 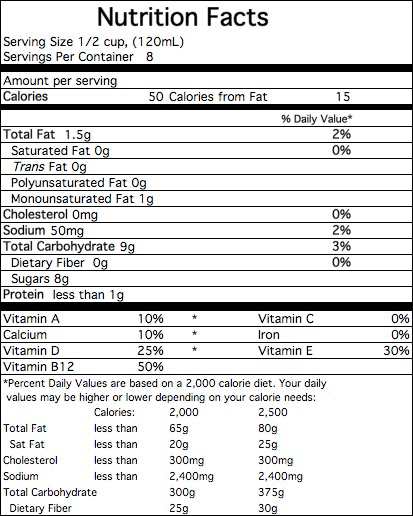 Compare to the leading brand of pumpkin non-dairy beverage, which contains 14g sugar per ½ cup serving. ALMOND BASE (FILTERED WATER, ALMONDS), EVAPORATED CANE SYRUP, PUMPKIN, NATURAL FLAVORS, SUNFLOWER LECITHIN, GUAR GUM, TRICALCIUM PHOSPHATE, GELLAN GUM, ANNATTO EXTRACT, SEA SALT, CINNAMON, NUTMEG, VITAMIN E (D-ALPHA TOCOPHERYL ACETATE), VITAMIN A PALMITATE, VITAMIN D2, VITAMIN B12.